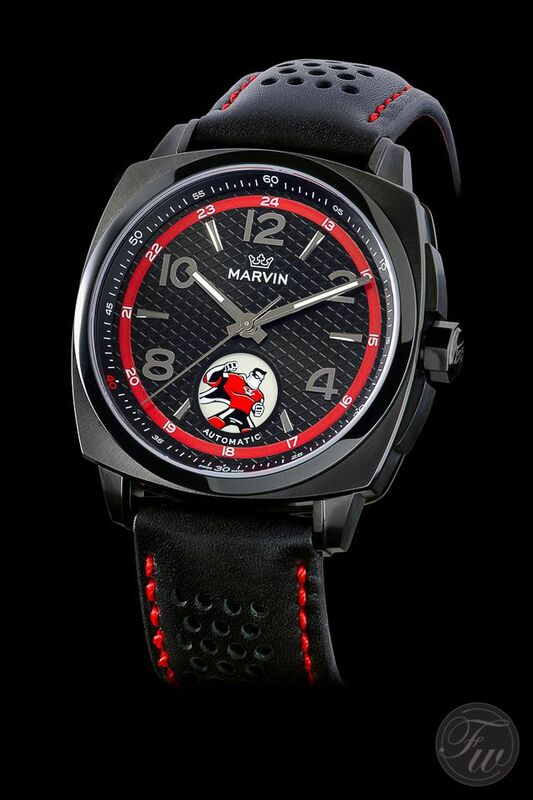 The Marvin Superhero (Fratellowatches Limited) - Available Now! 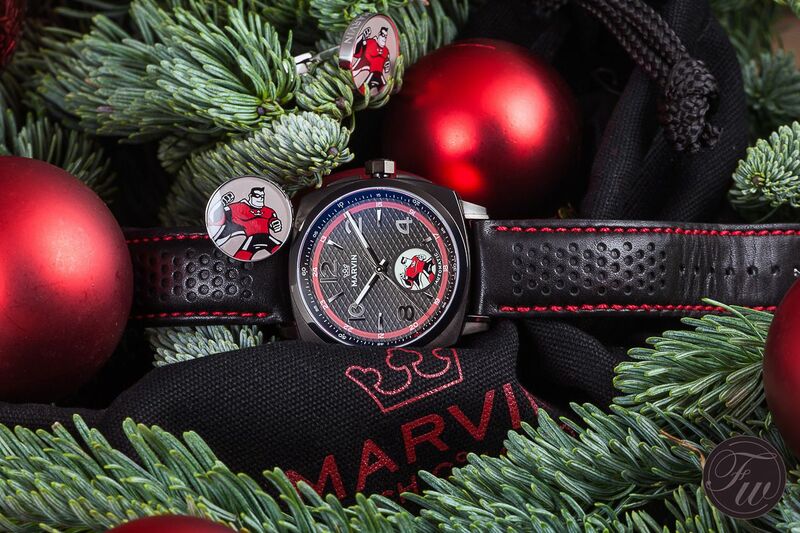 The Marvin Superhero (Fratellowatches Limited) – Available Now! As you’ve probably noticed a few weeks ago, Fratellowatches and Marvin designed a watch called the Superhero. Based on their Malton M119 collection, we designed a completely black watch with red accents and the use of Marvin’s superhero. Click here for more back ground information on the watch and the superhero. We are happy to announce that the watch is ready for ordering via the official Marvin webshop! Below, we present you the first live pictures taken by us. Just before Christmas, we received the first edition of the Superhero and Bert took the opportunity to shoot some photos of this Malton cushion shaped Superhero watch. As you’ve probably understood by our other article, the watch comes with a pair of matching cuff links. As you can see below, a perfect match! This 42 x 42mm watch has a great fit and features a Sellita SW200 self-winding movement. The mechanical movement can be seen through the display back of the watch. The Fratellowatches logo (or initials) are on the inside of the sapphire crystal, but leaving enough room to admire the mechanical inner works of the Superhero. 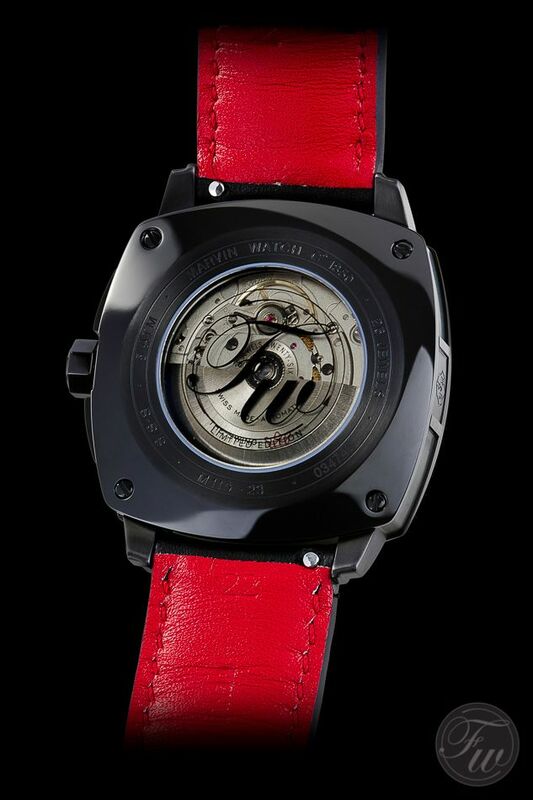 As you can see, the soft leather strap of the watch has an inner red lining. Also, it can be easily swapped for another strap with the quick-release mechanism. No tools needed. Very soon in the new year, we will give you the details on the auction for a good cause (KiKa). The entire amount of the auction of the Superhero will go to this organization. 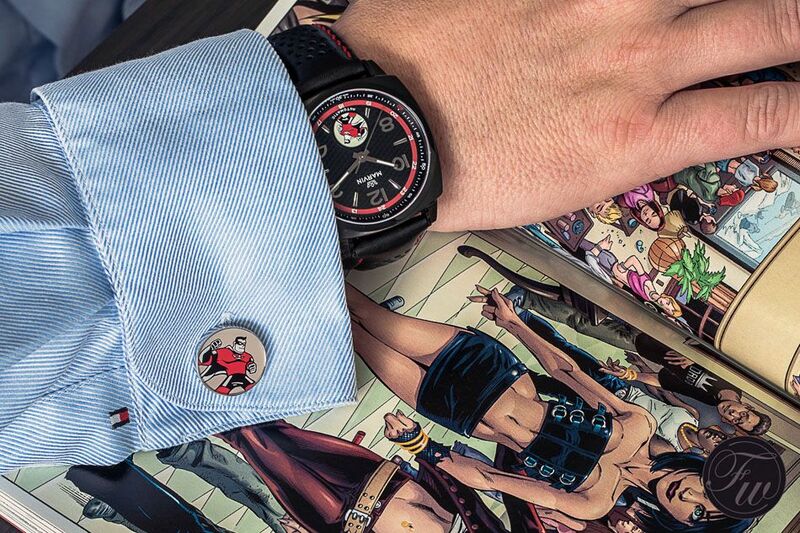 You can order your own Superhero watch (including cuff links) via the official webshop. Price is 990 Euro / $1415.00 USD. Watches are limited to 88 pieces. You can click on the pictures above for larger versions. All photos taken by Bert! In the meanwhile, we wish you nice Holidays and a great 2013! !